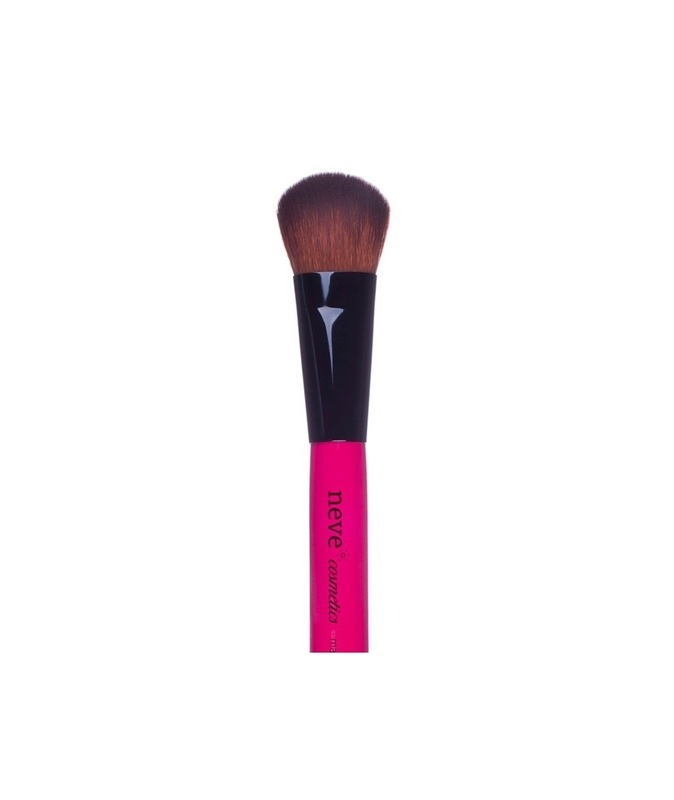 Medium-sized face brush with super-soft yet compact bristles, ideal for sculpting your features, creating perfectly blended, subtle shading. Also great for applying concealer to brighten and correct the eye area in just a few seconds. 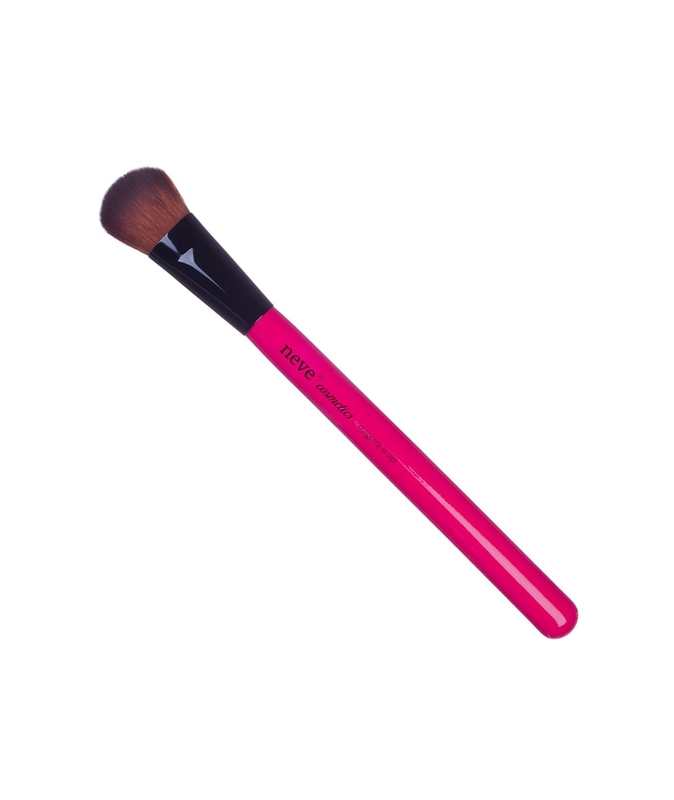 Intense magenta, varnished wooden handle with a shiny finish, shiny black, polished metal ferrule, bristles made from cruelty-free synthetic fibre. Uses: concealers, liquid, cream, or powder foundations, contouring products. Max. hair lenght: 2,10 cm. Max. hair width at the base: 1,70 cm. Max. handle width: 1,25 cm.